The administrative capital of South Africa, Pretoria is steeped in cultural and historical significance, boasting a number of gracious old homes within the city centre with large, leafy suburbs and streets exploding in a purple haze of jacarandas during this time of year. This vibrant city has a vast list of family-friendly activities but, if you’ve only got time for a few, here are five fun things to do in Pretoria. 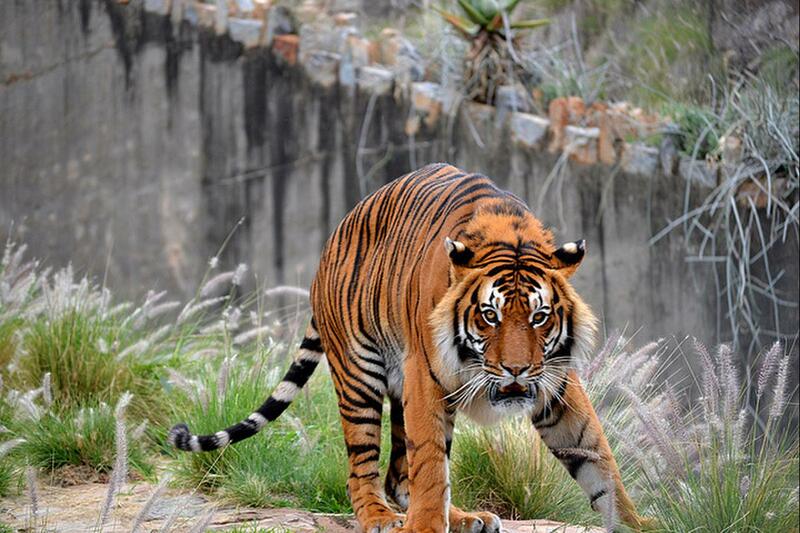 Furry, scaled and feathered animals abound at South Africa’s largest zoo which boasts 209 mammal species, 202 bird species, 190 fish species, 4 invertebrate species, 93 reptile species, and 7 amphibian species. There is also a reptile park, the third largest collection of exotic trees worldwide and the largest inland marine aquarium countrywide. A fun family activity is to explore the zoo with an overnight stay. Visitors can bring camping equipment with braai fires provided. Bookings must be made two weeks prior by emailing johannah@nzg.ac.za. A delectable Food Zone, expansive fleamarket-style shopping experience and weekend entertainment for the whole family awaits you at Montana Family Market, located opposite the Kolonnade Mall. Offering a variety of high-quality consumer products, ranging from children’s toys and crafts to recreational equipment and clothing, this exuberant market is a one-stop fun experience. Supporting local artists, Montana Family Market also hosts some of the best Live Music in the country as well as other entertaining acts on the weekend. Montana Family Markets has brilliant entertainment for kids too, anything from inflatable archery and face painting to farmyard visits and snowglobe making. Definitely a must-visit venue. An oasis within the city, Pretoria Botanical Gardens consists of 76 hectares of verdant wonder, 50 hectares of which is dedicated to a developed garden using almost exclusively South African plants. Here visitors can view all flowering plant species as well as 50% of the country’s tree species across savanna and forest biomes, among others. There are also exciting themed gardens being developed. This heavenly home of greenery is a really exquisite part of the Pretoria landscape. Visit http://www.sanbi.org/gardens/pretoria for more details. After some gentle perusing of the abundant flora and fauna and some fun shopping, it’s time to get those hearts racing with tree acrobatics. Acrobranch has a Pretoria North park home to the three-hour high-flying adult course – suitable for children 9 years and older – which consists of eight adrenaline-packed obstacles including tarzan swings and a 300m long zipline. For the younger children, the Centurion park has smaller, more sedate obstacles that introduce children to this exciting aerial adventure. For more information, call 012 940 1966. For more fun things to do in Pretoria visit Montana Family Market. Situated on the corner of Enkeldoorn Avenue and Sefako Makgatho Drive, Pretoria, just across from Kolonnade Mall, Montana Family Market is a diverse shopping experience promising family fun. Pop in for a quick shop and bite to eat or stay for a full day of family fun at one of Pretoria’s best markets.